To directly access the Saticoy Area Plan, click here! The Board of Supervisors approved the updated Saticoy Area Plan on September 22, 2015. This was the first comprehensive revision to the Saticoy Area Plan in more than two decades. The Planning Division held multiple public meetings during the project update (2012 – 2015). Project staff presented the updated Area Plan, and its related amendments to the General Plan and the Non-Coastal Zoning Ordinance, as well as the Environmental Impact Report to the Board of Supervisors of Ventura County, on September 22, 2015. The Board of Supervisors unanimously adopted all project documents. To view the staff report and exhibits prepared for the hearing, please click here. To watch a recording of the hearing, please click here. Project staff presented the updated Area Plan, and its related amendments to the General Plan and the Non-Coastal Zoning Ordinance, as well as the Environmental Impact Report to the Planning Commission for their recommendation. 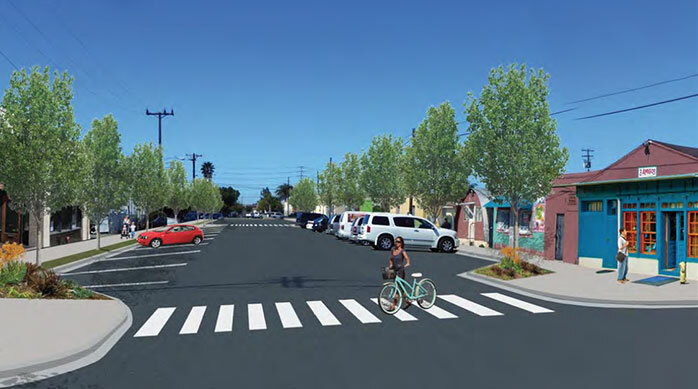 The Planning Commission voted 5-0 to recommend that the Board of Supervisors approve the update to the Saticoy Area Plan. To view the documents prepared for the Planning Commission Hearing, please click here. To watch a recording of the hearing, please click here. Project staff conducted a day-long workshop for the Ventura County Planning Commission, which included a walking tour of the Saticoy community, presentations by key project consultants, staff presentations on proposed land use and mobility improvements, and community comments and testimony. The Planning Commission provided staff with a confirmation of project direction regarding proposed mobility improvements (both vehicular and multimodal), proposed land use and zoning configuration alternatives, the proposed approach for a new form-based development code and design guidelines, and the need to address existing institutional barriers, (e.g., existing County policies and ordinances) that will prevent the construction of infrastructure improvements and civic amenities, (e.g., sidewalks and parks) in the Saticoy community. To watch a recording of the workshop, please click here. The final Market Study is available by clicking here. Project consultant and Planning staff conducted a meeting to identify Challenges and Opportunities for the project. Click on the image below to be directed to an interactive timeline for the Saticoy Area Plan update. Clicking on the call-out bubbles, will direct you to more information on the selected topic (images, presentations, documents, etc). Portions of this project were funded in whole or in part through a grant awarded by the Strategic Growth Council. The statements and conclusions in the documents included herein are those of the Grantee and/or Subcontractor and not necessarily those of the Strategic Growth Council or of the Department of Conservation, or its employees. The Strategic Growth Council and the Department of Conservation make no warranties, express or implied, and assume no liability for the information contained in the text.